They are precious, as always! They always have on the cutest outfits. Those bathing suits are so cute. Love the cupcakes on the front!! I know it is quiet at your house. Have a nice week. Love & blessings from NC! That picture is perfect! The colors are fabulous. And the girls are, of course, adorable. I was just thinking the same thing earlier about my grandchildren. 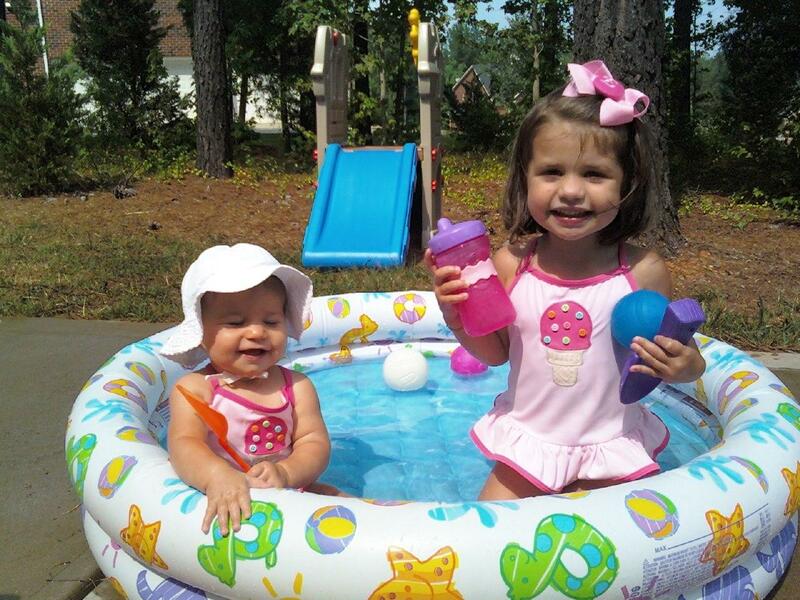 They are so adorable and love the bathing suits. I am so blessed to have my grandson so close and am able to see him at least once a week at church. Oh I bet you are...they are such CUTIES!!!! Awww they look just precious! Could they possibly be an more adorable? I don't think so!! They are so cute. Have I Mentioned That I Love These Girls? It's The Big 3 0 !! !